The Sundance Film Festival is often the birthplace of incredible strokes of horror ingenuity from unknown artists that become instant genre classics. In 2014, Sundance introduced the world to The Babadook, which was Australian director Jennifer Kent’s debut feature film. In 2015, Robert Eggers debuted with The Witch, earning the Best Director award at the festival. This year, first-time feature director Ari Aster and A24 present Hereditary. The film stars Oscar nominee Toni Collette, who is definitely no stranger to the horror genre—she earned a Best Supporting Actress nomination in 2000 for her performance in The Sixth Sense. 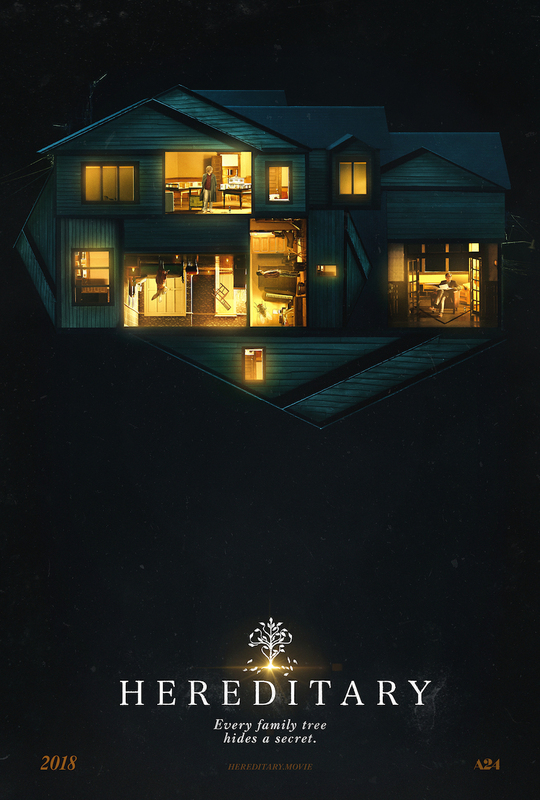 Hereditary’s official synopsis reads, “When Ellen, the matriarch of the Graham family, passes away, her daughter’s family begins to unravel cryptic and increasingly terrifying secrets about their ancestry. The more they discover, the more they find themselves trying to outrun the sinister fate they seem to have inherited.” Aster offers a deeply chilling portrayal of a family’s tragedy, and brings a terrifying and unsettling look at a family’s heritage gone to hell. Hereditary introduces the world to a brilliant new auteur that is taking the horror genre into a disturbingly awesome new direction. The film is already garnering some serious awards buzz for next year’s Oscars, including Collette’s performance. A24 is the studio that brought the world previous horror gems The Witch, It Comes at Night and Cannes hit The Killing of a Sacred Deer. The studio took home the Best Picture Oscar last year for Moonlight, and has Lady Bird gunning for the prize this year. A24 is also behind such hidden jewels as Laggies with Keira Knightley, Locke with Tom Hardy, The Lobster with Colin Farrell and A Ghost Story with Rooney Mara. The studio is also behind hits The Disaster Artist, Ex Machina, Room, A Most Violent Year and The Spectacular Now. A24 is one of the most interesting studios in the business today, offering some of the most diverse and entertaining films. The Hereditary trailer is beyond unsettling and emotionally shattering. It feels like something we should not be watching, yet we are transfixed by it and unable to look away. The film hits theaters this summer on June 8. Check out the film’s trailer above and poster below.